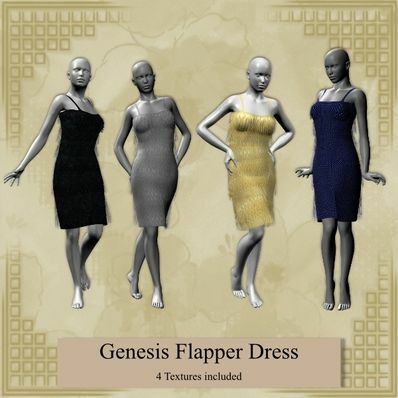 A Flapper Dress for Genesis for use in Daz Studio 4. Set the Fringes to collide with the dress. So much practical useful (and nice) items you have made. Nice flapper dress, thank you.